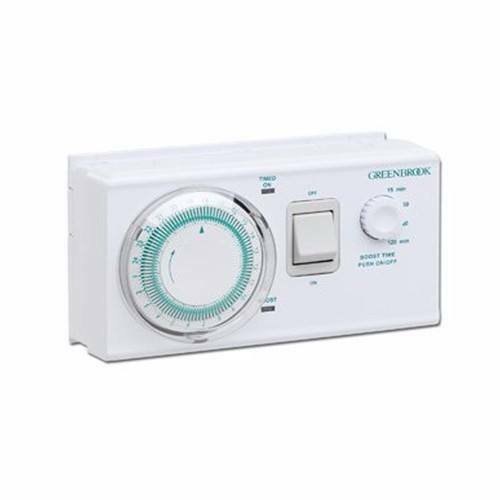 The Greenbrook T109-C Dual Tariff Boost Water Heater Controller Timer is designed as a surface mountable console to control the use of off-water heating using off peak electricity. This easy to use product has a mechanical dial for easily choosing time segments with a tamper proof cover, and comes with a 15-120 minute boost control. This item is usually wired using heat resistant flex such as our 1.5mm 3 Core Heat Resistant Flexible Cable.